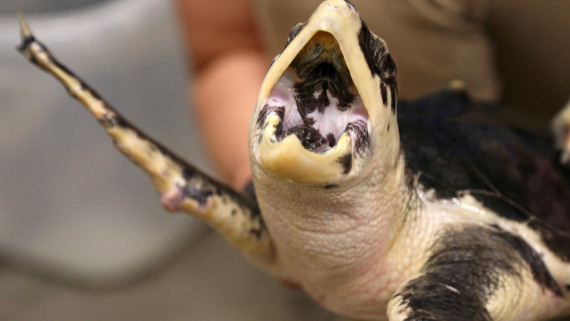 We are wrapping up another year on Sea Turtle Exploration and what a great year it has been! We released last year’s hatchlings and welcomed new ones, helped nurse cold-stunned sea turtles back to health, met a three-flippered sea turtle named Calypso and discovered that sea turtles can glow in the dark underwater and make it out to sea with no camouflage at all. 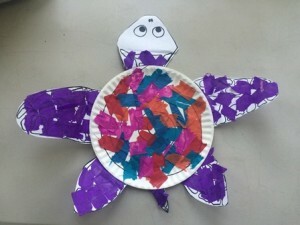 For our last blog post, we are featuring one of our very own staff and her turtle crafts that your class can do as a fun end-of-year activity. 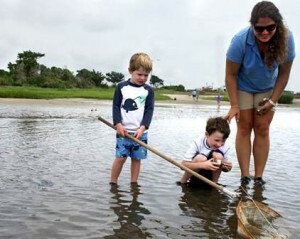 My name is Erin and I am a Special Activities Instructor in the Education Department at the North Carolina Aquarium at Fort Fisher. I graduated from UNCW with a degree in Marine Biology in May 2012. 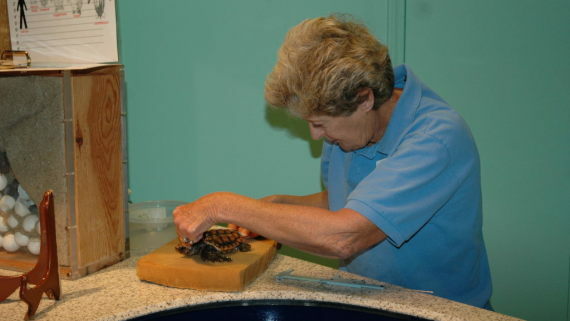 My job consists of teaching programs at the Aquarium for school groups, scout groups, and public groups as well as teaching summer camp for 5-6 year olds. I love my job here at the aquarium because I truly enjoy educating children about marine life and seeing them become excited and enthusiastic about the animals. It makes me so proud when they learn and remember something from my program! 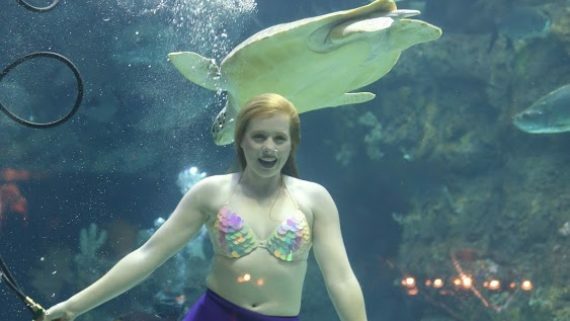 Many of my programs include sea turtles (of course!) and other turtles. I often incorporate a craft in my programs. Crafts are a great way to get children (and even adults sometimes!) more excited about what they learn here at the Aquarium. They are more likely to remember their experience if they take the time to create their own piece of art and take it home with them to be reminded each time they see it. 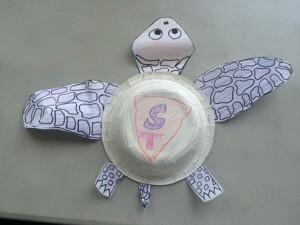 This one is just a simple sea turtle craft you can use if you are doing a program for younger ones who may not understand the concept of Super Turtle. For either of these turtles, you can have the kids decorate the turtles any way you like. I just used crayons for the first one and glued squares of tissue paper for the second one. 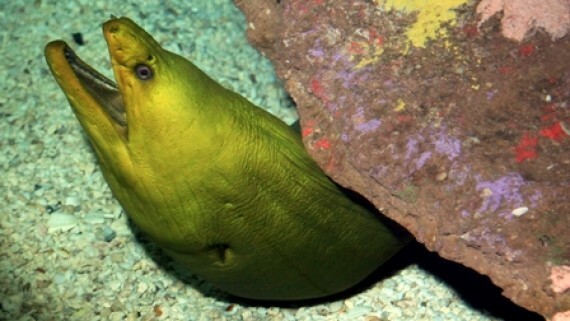 This craft is a classic craft that a lot of the Aquarium educators use. It is a great craft because you keep the same template and change what you use as a shell depending on materials available and what you want your program to focus on. 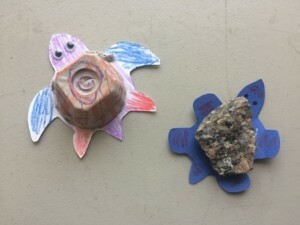 I like using a rock as a shell for programs where I know I will have the kids outside on a nature hike. I have them find their own rock to use for the craft while we are on a hike. I use a plastic bottle cap, egg carton, or other recycled material as a shell if I am focusing on the importance of recycling in my program. 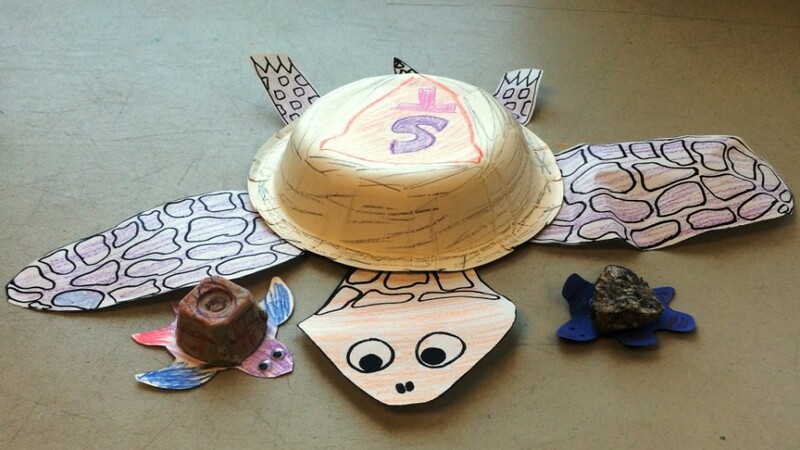 The “Super Turtle” craft is a fun way for the kids to remember different ways turtles have adapted to their environments. The other craft can help them remember about their outdoor experience or the importance of recycling. There is an infinite number of possibilities for cute turtle crafts, so try to use these as inspiration to create your own! If you are interested in signing up your child for summer camp, click here for more information. Thanks to Erin for an awesome ending to our year-long blog series. 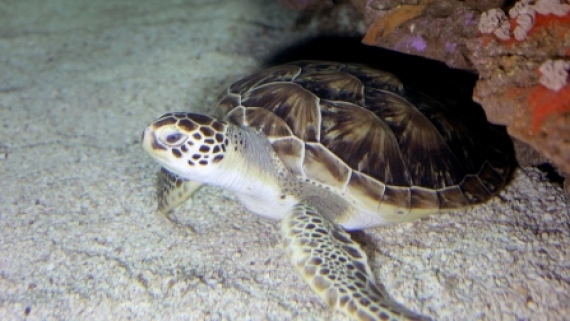 Another fun lesson plan to do that involves a craft is Sea Turtles Are Reptiles. Our Pinterest page also has great craft ideas! We will continue to measure our hatchlings all summer long, but will not be updating them weekly anymore. 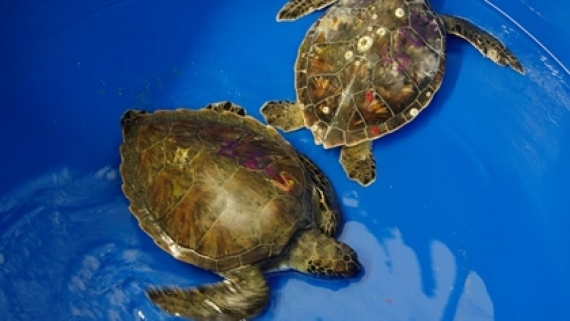 This week, Turtle A weighs 1383 grams and measures 20.7 cm long and Turtle B weighs 1262 grams and measures 19.5 cm long. 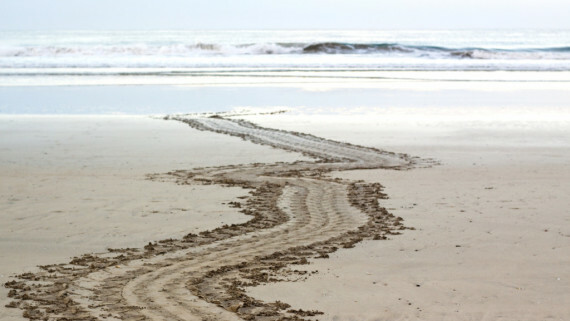 Remember to keep up with the NC nesting data being updated by seaturtle.org this summer. We will return in the fall and hope to see you then!